The Dupont Summit is annually organized by the Policy Studies Organization (PSO). The conference seeks to promote interdisciplinary dialogue about pressing issues related to science, technology and the environment, in order to boost multidisciplinary conversation and networking across the social and political spectrum. 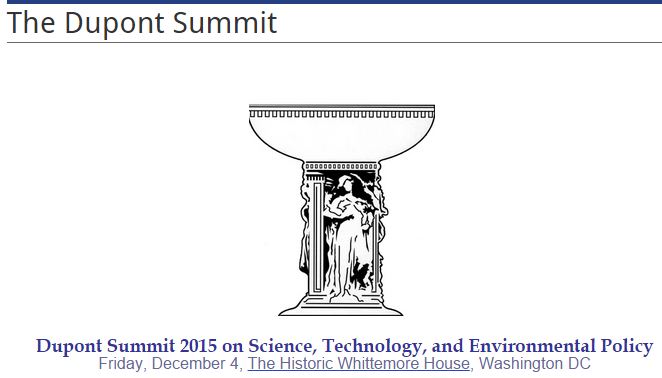 The annual call for papers for this year’s Dupont Summit is currently open. Topics of interest include: health, energy, national security, ICT, environment science and climate change, biotechnology, HIV/AIDS, space, and the ethical, legal, and social implications of existing and emerging technologies, among others. The early consideration deadline will be September 15th, 2015. Proposals submitted by the early deadline will be given priority.